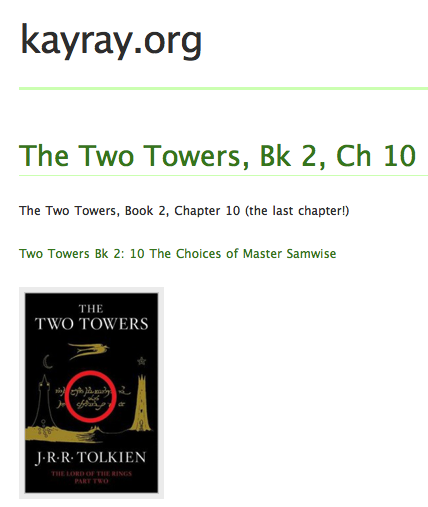 Kara Shallenberg, my favorite audiobook reader, has just finished up the second part of J. R. R. Tolkien's The Two Towers. You can download them at her website, kayray.org. I'm looking forward to the next 6+ hours in the car.